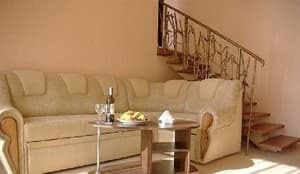 verified hotel This accommodation was verified by real guests who booked accommodation on Hotels24.ua. Over the past year, guests have left only positive reviews about it. 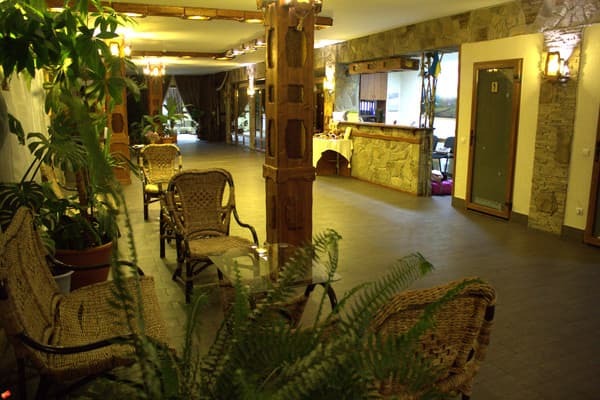 The hotel complex is located in the park area of ​​Mezhgorye, on the banks of the Rica River. The hotel and recreation complex "Zhivaya Voda" offers 31 comfortable deluxe rooms, junior suite and standard. For your convenience, the hotel has an elevator. Each room is equipped with LCD TV, comfortable furniture, wardrobe and private bathroom. Free Wi-Fi is available throughout the hotel. A special feature of the complex is the presence of a pool filled with spring water. 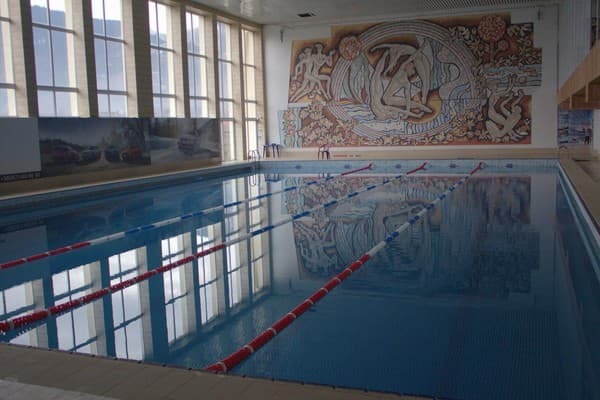 The indoor 25-meter pool is designed for 5 tracks, there are two towers for jumping into the water. 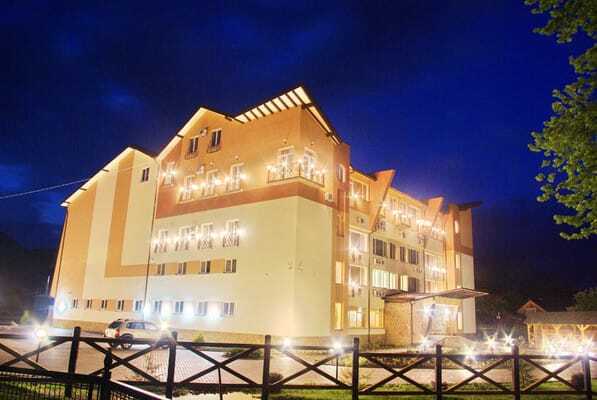 The hotel is 5 km from Synevyr Lake, and the Mezhgorye Ski Resort is just 1.5 km away. There is also a transfer to the ski resort in the village. Izki (15 km from the hotel). For leisure in the summer, the hotel provides: ATVs, bicycles, bicycles, excursions, hiking, rafting, gazebos. In winter, you are waiting for the ski slopes. The hotel has ski equipment rental, as well as a room for storage and drying. 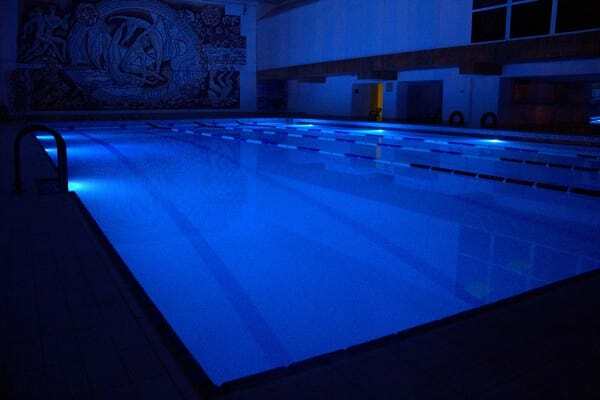 For recovery: Spa- procedures and own pump room with mineral water "Soimy" and "Kelechinskaya". For children there is a children's room, a children's playground, a trampoline and a "lazanka". Description of the room: One room, an area 30-45kv m, with a large double bed and sofa, designed for 1 extra bed. Some rooms have an extra bed. Description of the room: Two-room suite with an area of ​​40-60 sq. M. The room is decorated in warm classic tones. In one room there is a large double bed, in the living room there is a sofa for 2 extra beds. Most of the rooms have a wonderful view of the mountains and the river. Some rooms have a balcony or a French balcony. There is a flat-screen TV, a wardrobe and a private bathroom. Description of the room: Duplex room with an area of ​​60 sq. M. The room is decorated in warm classic tones. On the upper level there is a bedroom with a large double bed. On the lower level there is a living room with a sofa for 2 extra beds. Most of the rooms have a wonderful view of the mountains and the river. Some rooms have a balcony or a French balcony. There is a flat-screen TV, a wardrobe and a private bathroom. Номер класса люкс достаточно удобен и главное чист! Отличный вид из окон номеров люкс. Номер класса твин - это нечто... Размер 3*4, окно в небеса. Басейн просто супер (вода у басейні МІНЕРАЛЬНА!!! ), постійно присутній тренер, є джакузі та дві сауни (в т.ч.інфрачервона), це все входить у вартість проживання; персонал дуже ввічливий. Є бювет з мінводою на території готелю. Номери великі та комфортні. Є фен та великий холодильник. Красивий краєвид на гори та гірську річку. Відсутній чайник. Безкоштовний сніданок (той, що входить у вартість) - середньої якості, але кухня під замовлення - чудова. Ціни можна сказати середні. Ужасная еда (шведский стол). Непонятный сыр, зелёная колбаса, кислый (не скисший) творог. Видно, что купленно всё самое дешевое. Кофе - отдельная тема! Пиала с !!!заварным!!! (молотым) кофе, термостат с не очень горячей водой. В итоге получилась каша, которую невозможно пить. Жаловались на ресепшен - девушка "искренне" не понимала что нам "не вкусно". Если бы не скидка в 75% процентов на проживание, уехала бы после первого "завтрака". Отдыхал с друзьями с 6-18 января 2014 года, приехали на машине из Мурманска. Ехали кататься на лыжах, но попали на плюсовую погоду. Но мы не унывали , посещали музеи Ужгорода, Мукачево, Львова и т.д. В отеле есть полноценный бассейн, чего не скажешь про другие гостиницы. В отеле добродушный и отзывчивый персонал, очень вкусная и доступная по ценам кухня. Отличная баня. Советую ехать на машине - удобно. В общем нареканий нет. Но для водителей не указана дорога. Для тех кто поедет на авто, советую ехать через Нижние Ворота, на Долину не поворачивать - дорога жесть. Есть небольшие замечания по спорт. тренажерам, но персонал пообещал исправить. children under 6 years old - free of charge, without extra bed; from 6 to 12 years - 150 UAH; from 12 years - 250 UAH. 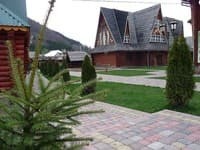 In the complex "Zhiva Voda" there is a restaurant that offers dishes of Transcarpathian, Ukrainian and European cuisines. 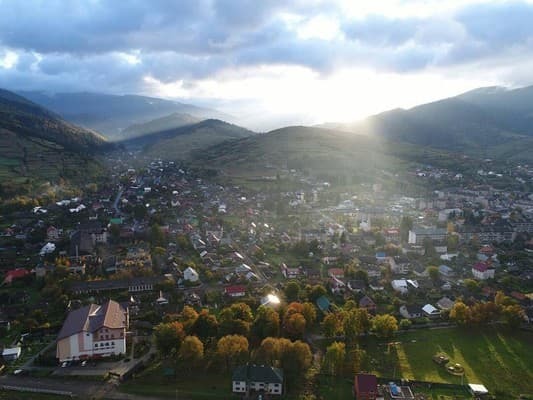 Hotel complex is located in the district center of Transcarpathia, in the village. Mizhgirya - near the center, in the park area, on the banks of the Rica River. Nearby is Lake Sinevir, one of the most beautiful waterfalls in the Carpathians - Shipit. The nearest ski resort is 1.5 km from the hotel. Roads from neighboring regions of Ukraine in the village. Mezhgorye pass through Lviv and Ivano-Frankivsk. From Lviv and Ivano-Frankivsk region - through Valley, Torun pass in the village. Mizhhiria. Or from Lviv - through Stry on the international highway Kiev-Chop in with. Lower Gate, then through the town. Volovets to the village. Mizhhiria and further on. Hust. The nearest railway station to Mezhgorye is the town of Smolensk. Volovets is 30 km away. Trains pass from Mukachevo to the village. Lavochnoe, Lviv region. You can get to the hotel by trains - Kiev-Uzhhorod, Kharkiv-Uzhgorod, Moscow-Prague, Lviv-Mukachevo (all pass through the station. Volovets). It is also possible to pre-order a transfer.